GIVEAWAY: Ringling Bros and Barnum and Bailey Last Hurrah in DC! 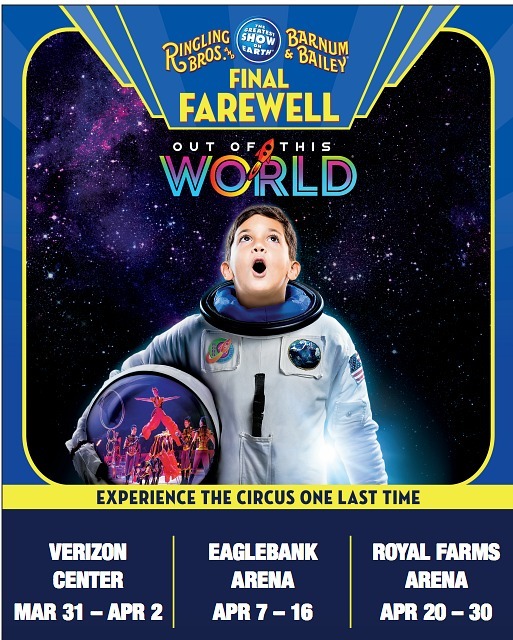 If you are fans of the Ringling Bros. and Barnum & Bailey’s Greatest Show On Earth, be sure to catch it one last time before it permanently closes this spring. The Out of This World production of the circus will be our last chance to see the extraordinary performers and exotic animals in this ultimate circus spectacle. In this production, prepare to blast off on an intergalactic adventure for space-age family fun. Audiences will take the helm to join the Circus Space Fleet on a heroic quest to bring the most spectacular and talented performers back to Earth after years in outer space. There will be gravity-defying acrobats, orbital aerialists, majestic animals, fearless daredevils and humorous clowns. 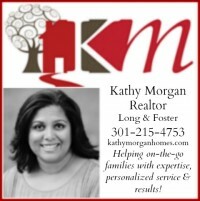 You can get tickets to the circus at Verizon Center March 31 – April 2 and the EagleBank Arena in Fairfax April 7 – 16. $15 -$75 at the box offices or at Ticketmaster or by calling 800-745-3000. And one lucky reader will win four tickets – enter below! Would love to go, especially as this is an historic event! My son has never been to the circus and it’s been many a moon for me:-) Thanks for the opp! Omg. We totally want to go! My kids have never been to the circus and both matt and I loved it as kids!! I have never been. Hope to be able to take my kids. This would be wonderful for my kids. They haven’t been to the circus. Dreaming of a last sighting! I can remember the first time we went to the circus just being amazed by the trapeze artists, swinging back and forth, letting go and flying through the air! So much practice, strength and trust in your partner. I haven’t been to the circus since I was a kid and it was a jaw-dropping experience. 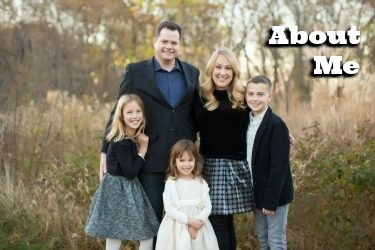 We missed the chance to go as a family in years past. It would be nice for my son to experience the magic. I’d love for my children to see a big, traditional, circus! Went when I was around 4 or 5 years old. O course the highlight was the elephants, which are no longer featured but we get to see them at the zoo all the time. The last time I went to a circus was almost 30 years ago, when I was very little. I didn’t realize that Ringling Bros. is permanently closing. I’d like my two kids to see it before it’s gone. I have always been a fan of the Greatest Show on Earth. Pick us! I remember vividly when my parents took me to the circus at 7 years old. It was a magical experience – my favorite was the tight-rope walk. My son is now 7, and I would love to take him before the circus ends for good!